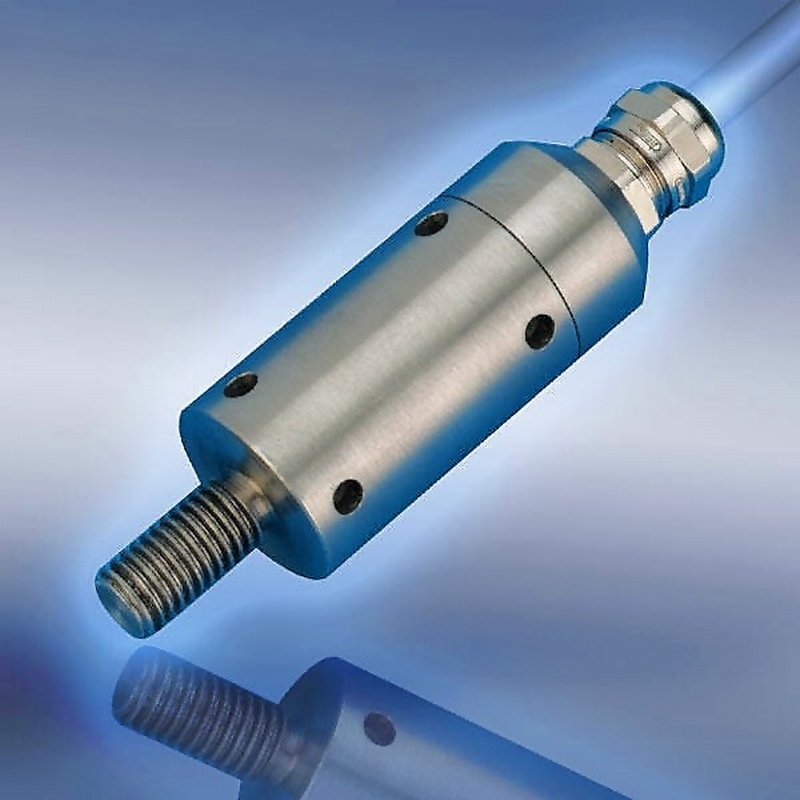 Cavity sensor for the use during the die casting process which is attached to the shot piston and records the changes of the piston speed during the injection process - during the slow shot and the mold filling phase. 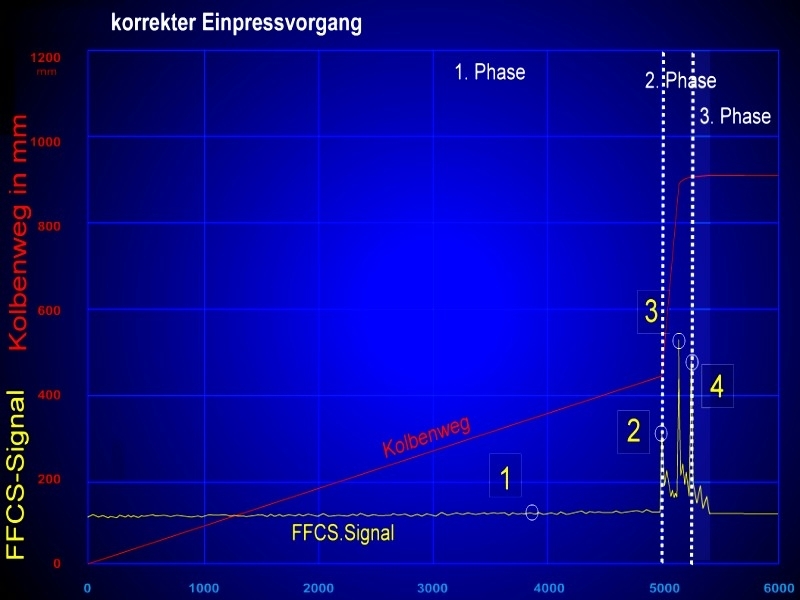 Thanks to these information on impurities, the caster now has the possibility to specifically change the injection process to achieve a more harmonious mold fillling (smooth FFCS signal curve in Fig. 3). 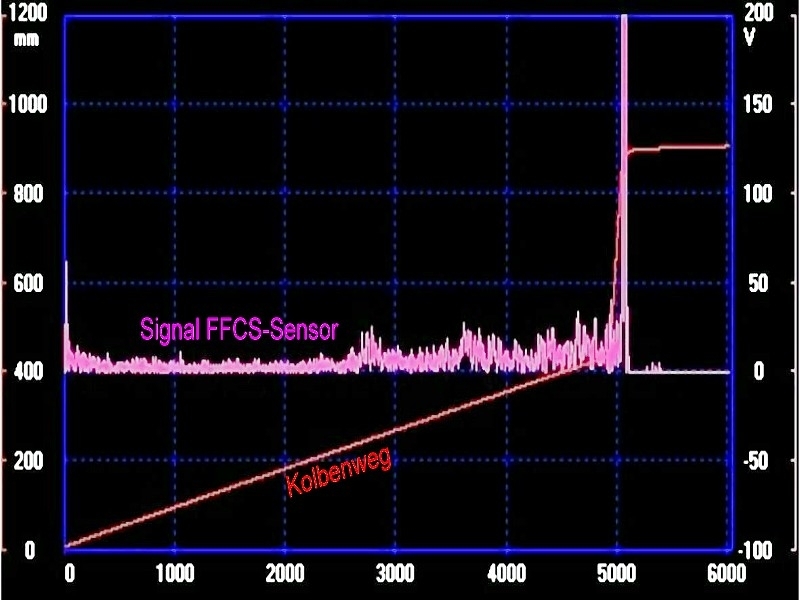 With these sensor recordings, too, sampling rates of 4 to 5kHz are required and made possible. 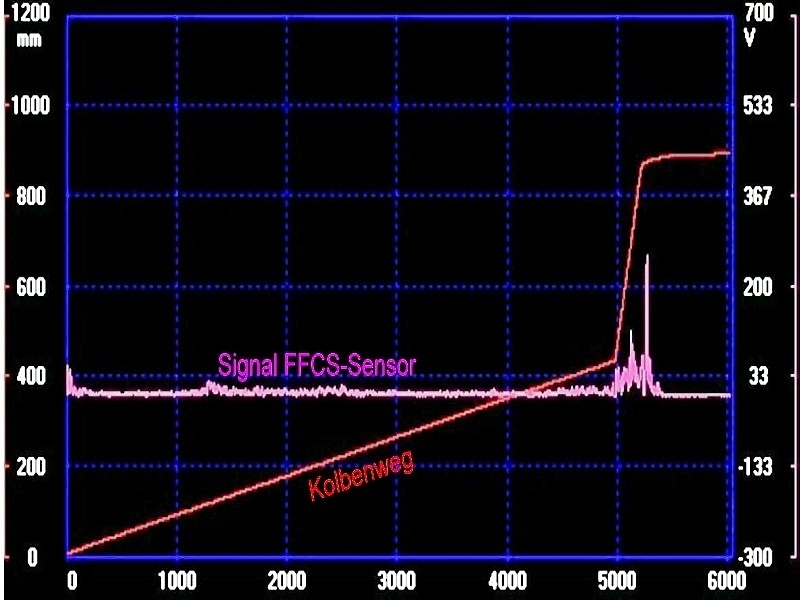 The FFCS signal interpretation of a faulty injection process is illustrated in Fig. 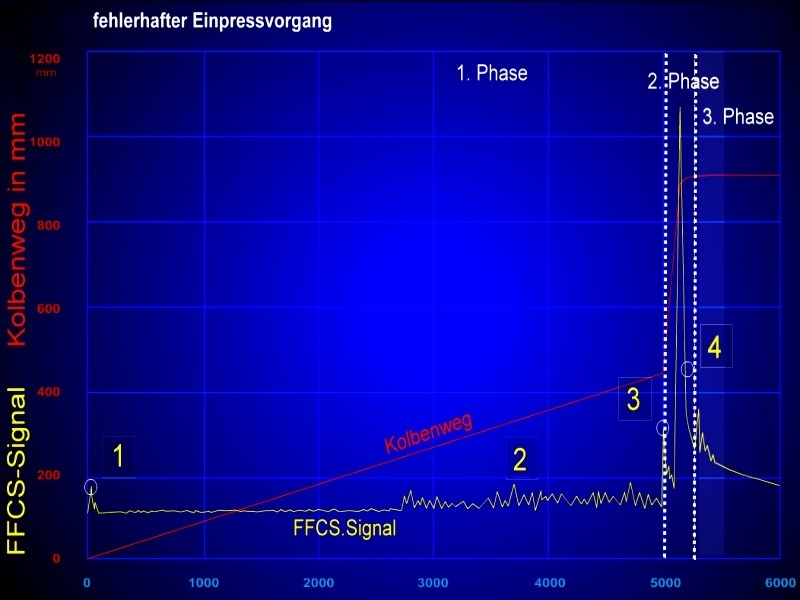 4, the signal evaluation of a correct injection process is shwoin in Fig. 5.